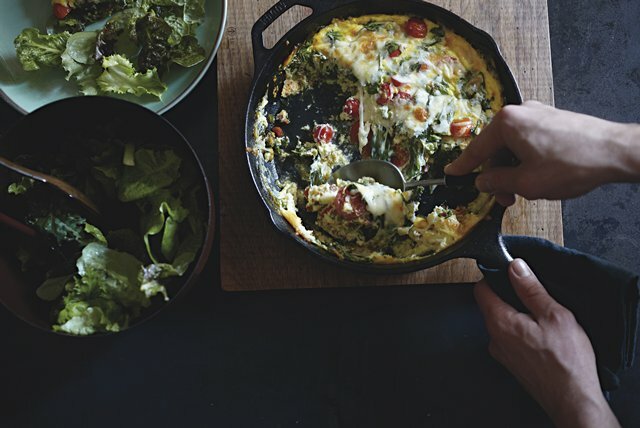 This cheesy frittata has "just the perfect touch" of heat from its melty habanero cheese topping. At least, that's what one reviewer says—and we agree! Cook chorizo in large ovenproof skillet on medium-high heat until done, stirring frequently. Remove chorizo from skillet, reserving drippings in skillet. Set chorizo aside. Add spinach to skillet; cook 2 min. or just until wilted, stirring frequently. Stir in tomatoes and onions. Remove from heat. Whisk eggs and milk in medium bowl until blended; stir in 1 cup cheese. Add to ingredients in skillet; stir just until blended. Top with remaining cheese. Bake 25 min. or until knife inserted in center comes out clean. When adding eggs to a recipe, break them, one at a time, into a small bowl before adding to the other ingredients. This is not only an easy way to add eggs gradually but also lets you check the egg's quality first and remove any pieces of shell. Serve with fresh fruit salad to round out the meal.